Nancy Jean Klim, 67, of Huntington, died July 2, 2016 in Cabell Huntington Hospital surrounded by her close family after an extended illness. As per Nancy’s wishes, services will be private with interment in Spring Hill Cemetery. She was born October 6, 1948 in Huntington, WV, a daughter of the late Vernon and Jeanne Parnell Lay. In addition to her parents, she is preceded in death by a daughter, Anne Cathern Klim in 1990. 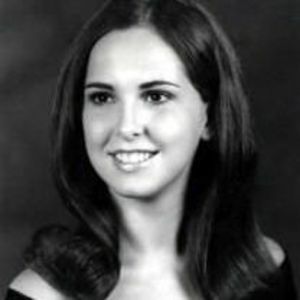 She was a National Merit Scholar, Miss Highlander, graduating Huntington East High School in 1966. A graduate of Marshall University with a BA in 1971 and a MA in 1975 and a consistent Dean’s List student. Mrs. Klim taught school with the Cabell County School System and St. Joseph Catholic High School. She was a Quality Manager, Safety Manager with D & E Industries, and was a frequent speaker at OSHA internal training seminars. She will be sadly missed by her husband, family and friends. Survivors include her husband of 45 years, Jack Klim; children, John Joseph Klim III and wife Pam and Elizabeth Mary Klim; one grandson, Matthew Klim; sisters, Judy Lay Burgess Riggs and Kathy Lay Sanford Wood and her husband Woody. The family is grateful for the loving kindness and work of nurses and doctors at Cabell Huntington Hospital. In lieu of flowers, donations should be made to the Marshall University School of Medicine.